$0 Down Smart Packages range from $49.95/mo. to $79.95/mo. (We do not provide pricing on our web site). 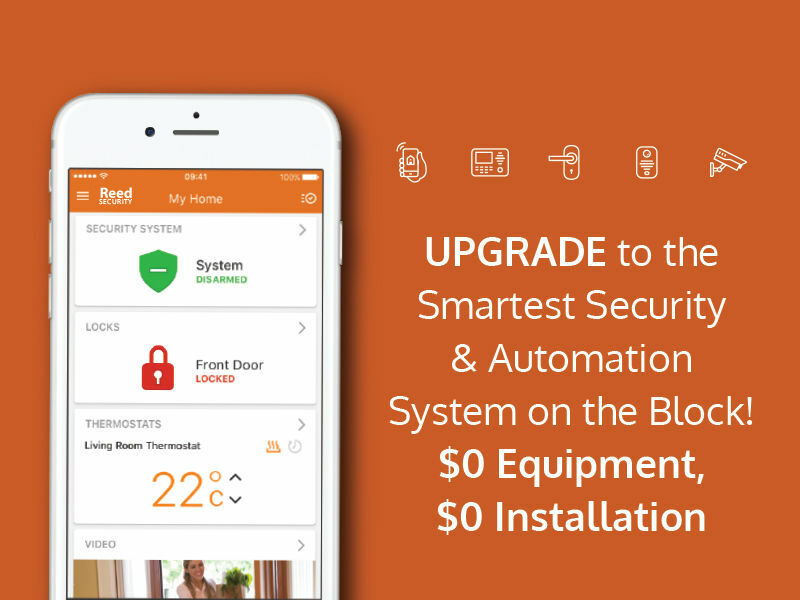 Instead we offer a No Obligation, Free Smart Home/Business Evaluation with a Reed Security Consultant. We carefully listen to your needs and wants and walk through your Home/Business and demonstrate how smart features can work for you. It only takes 20 minutes. To arrange a No Obligation, Free Smart Home/Business Evaluation with a Reed Security Consultant Click Here. *48/60 month subscription is required. *Early termination charges may apply if you are an existing Reed Security client.